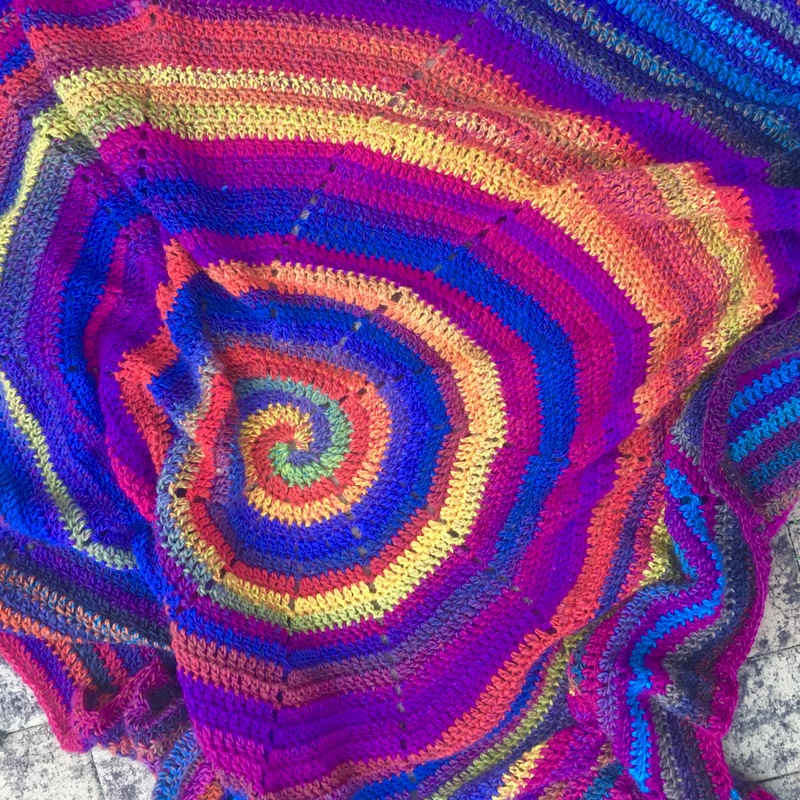 I started this blanket months ago and sort of lost track of it. I then started a corner to corner in the same yarn to see which looked better, they both did! After weeks of trying to figure out which one to undo I decided to just buy more yarn and finish both. Naturally there wasn’t enough yarn at the store! After visiting two different stores I figured the other colours were similar enough to pass off. So I grabbed two balls of two colours and got to work. I love how easy this pattern is. The first few rounds are a bit tricky cause you’ve got to count and swap which yarn you are working on, but after that it’s awesome! The blanket turned out giant! I love all the different colours and you can’t even tell there are three different colour versions of the yarn used! All up this took 8 balls of wool. Gorgeous and warm 😀 well done! !